Your ad is viewable but did anybody see it? The quality of digital advertising is still not good enough. The vast majority of ads are battling to be both viewable and engaging. So, recent research from InSkin Media, carried out with partners Research Now, help from Sticky and data from Moat, explored a more meaningful measurement for brands: visual engagement. Using eye-tracking technology, the research looked at four ad formats – billboards, half-page, MPUs, and InSkin Media’s own PageSkin Plus format – and ads in three categories: FMCG, automotive and sportswear. It tested the visual engagement each received, how different scenarios affected ad recall, message association and brand recall. They found that viewability is a good baseline indicator of visual engagement, but doesn’t tell you whether a campaign is actually working. 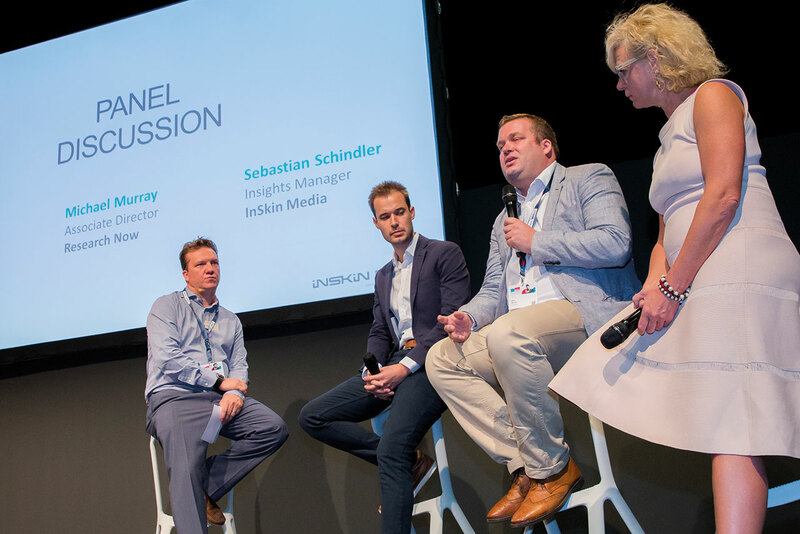 The research partners unveiled the results to an intrigued audience at Dmexco in Cologne in September. What does visual engagement refer to? Steve Doyle, chief commercial officer at InSkin, explained: "It’s the likelihood that someone actually looks at the ad. It sounds so obvious, but there’s still not enough measurement to try to understand what that is. Visual engagement is about how an ad delivers a physical impact on the consumer. Does it refresh those memory structures? Does it take the consumer back to the campaign’s objective, to influence the consumer on their purchase journey? We must measure campaigns according to their objectives, something CTR doesn’t do." But it doesn’t mean it is. The research has shown that viewability metrics are a good predictor that an ad has been seen, but are not effective at showing how much attention – if any – was paid to the ad. Doyle said: "High viewability doesn’t necessarily mean the user actually looks at your ad." The technology measured "gaze time" – the time spent looking at specific elements on the screen – measuring user attention, and understanding how much focused on the ad. This showed a lot of viewable ads are never actually looked at but that the longer the gaze time, the higher the recall. And while attention differs depending on format, Doyle added: "You can have the biggest canvas, but if you don’t have great creative, your ad’s not going to work." Ad clutter is a big challenge for the industry, and the study confirms that too many ads, or misplaced ones, lead to ineffectiveness. When there were three ads on the page, it became cluttered, there was a 37% decrease in gaze time, and gaze frequency dropped by a third. Doyle explained: "We’re talking to our clients to make sure they are conscious of where ads are running, what sort of ads they’re running with and how many are on the page." Is measuring visual engagement the answer to quality ads? Visual engagement fuels memory-building. The longer users engage with an ad, the higher the recall. "Visual engage-ment is often measured in pre-testing as a neuromarketing tool to understand the relationship between viewability and visual engagement," Sebastian Schindler, insights manager at InSkin, said. "It’s important not only to use these tools, but also to understand what they are supposed to do and how they relate back to the objective. Understand the context within which you optimise. Look at how viewability and visual engagement relate for a specific grade of execution. If you have high viewability rates and extremely low visual engagement, which you can derive from pre-testing, you’ll start to get a better understanding of how valuable these viewability stats really are." Jean Templin, vice-president of product at Sticky, and a former marketer, said she thought visual engagement could become a core KPI. "As a marketer, you always want to be placed inside a brain of your customer – and that’s essentially what visual engagement allows. You want to understand what they’re looking at, what they’re feeling, because then you can create creative that works. We should use visual engagement on every ad during the creation process, then before we place them." Schindler added: "We have so many KPIs that we struggle to see whether there’s any connection between the metric in itself, the agency or the advertiser, and the objective. A click, a share, a like… all these metrics are meaningless if you don’t understand how they tie back to the objective. "These kind of research projects set out to give clarity. Don’t use metrics if you don’t know what they bring back in terms of their potential – or what they really mean." The findings have fuelled more questions and an appetite for further research. InSkin Media is looking more closely at the effectiveness of building memory structures next. Other key areas of interest include looking at how varying degrees of ad clutter impact campaigns. InSkin Media commissioned the research with panel company Research Now and marketing-optimisation technologists Sticky and Moat. They conducted 696 eye-tracking sessions and carried out 4,500 respondent surveys. All the respondents in the survey were UK residents aged 18 or older.